Pink roses carry a connotation of grace and elegance, as well as sweetness and poetic romance. As more colors and types of roses entered the palette, each began to take on their own meanings. So too, did the meaning of the pink rose become more refined. Keto Trim 911:-Warnings, Benefits &amp; Side Effects! 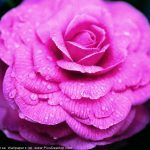 Pink roses have a rich history that comes with being one of the longest existing roses known to us - in fact, pink roses have even been depicted in some of the earliest known pieces of art. When roses first began to be cultivated, the majority of them existed in various shades of pink, from the palest pink to the deepest crimson. Prior to that, pink roses were the dominant species among wild roses, and were likely among the earliest roses to evolve.